Description: Lot of 25 Bottles Select from 5ml, 15ml, 30ml or 50ml clear PET plastic bottles with dropper inserts and childproof caps. Sold in lots of 25. Simply increase your quantity for larger amounts. 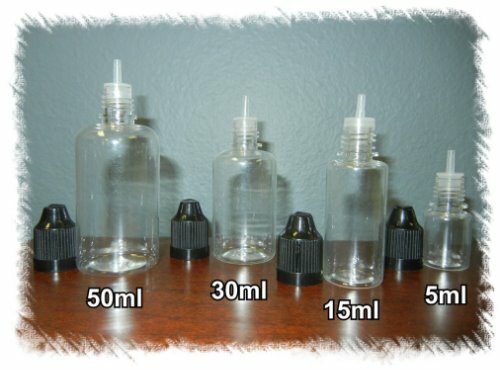 Example: If you put in a quantity of 2, you will received 50 clear plastic bottles, 50 dropper inserts and 50 childproof caps. Quantity of 4 would be 100 bottles with inserts and caps. Great for solvents, light oils, paint, essence, eye drops, saline, etc.